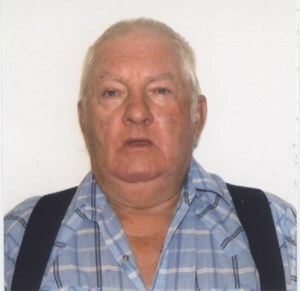 Martin "Joe" Simmons, 76, of Casper, passed away on February 2, 2019, after a brief illness. He was born November 8, 1942, in Emmetsburg, IA to Carl T Simmons and Louise "Rolfs" Simmons. He was the youngest of 6 children. In 1964 he married Peggy "White" Simmons in Sioux Falls, SD. They were married 54 years and lived in many different states until 1976 when he transferred with Amoco to Wyoming, where he had always wanted to live. He was an avid hunter and fisherman and spent as much time as he could in the mountains. He is survived by his wife, Peggy and the following family. Joe has one son by a previous marriage, David Tonne, of Fairmont, MN. Together, Joe and Peggy had 3 children, all who live in Casper. They are Michael Simmons, Pamela Simmons and Tony Simmons and his wife Rebecca and her son Mark Walters. They have 6 grandchildren, all of Casper. They are Brandi Simmons and her fiancé Kurt Little and his son Vaughn,, Kristen Hite, Tasha Simmons, Joseph Simmons, Michael J Simmons and Samantha Debyah. They also have 3 great grandchildren: Travice, Serenity and Nikita. Joe was preceded in death by both parents, 3 sisters and one brother, with his only surviving sibling being Mark Simmons and his wife Shirley from Ft Madison, IA. There are many beloved nieces and nephews. In his life, he was a truck driver, a gas plant operator and repairman, a Pilot Car Driver and his most favorite job of Hunting Guide for Crystal Creek Outfitters of Bondurant, WY for Gap Pucci. Cremation has taken place and his remains will eventually be scattered over the mountains he loved. Add your memories to the guest book of Martin Simmons. So sorry for your loss, my condolences and prayers. RIP old friend. My heart goes out to the family. Uncle Jody You will be missed by all!! Glad you are now at rest and telling hunting and fishing stories with all who will listen!! We love you!! Prayers for the whole family as they go on without you! !